At first you have to add a product in to your shopping cart. 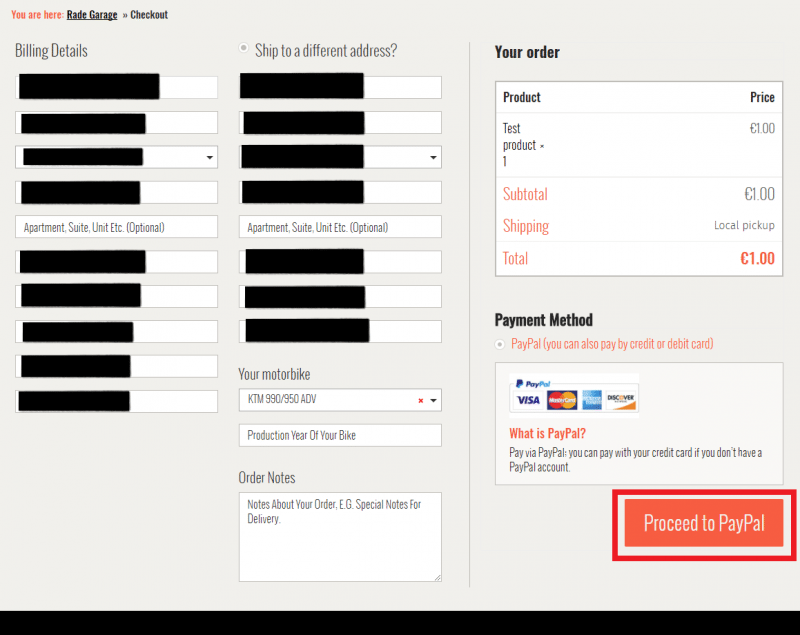 After that you have an option to continue shopping or to display the content of your shopping cart. It will looks similar like the shopping cart with the test product on our screenshot. 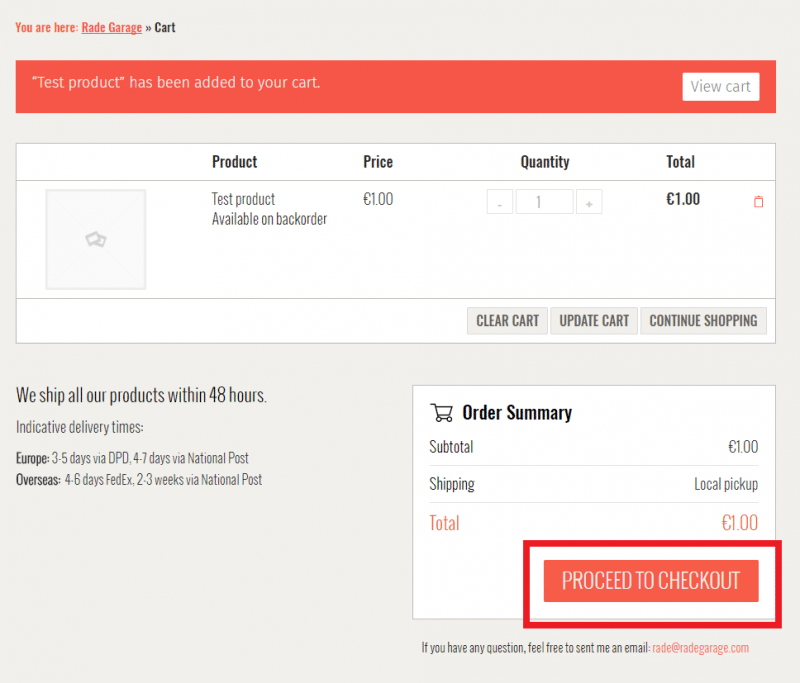 You have to continue to the Checkout page by clicking on the PROCEED TO CHECKOUT button (highlighted in the red rectangle). On the Checkout page you have to fill in Billing details. Shipping details are not necessary to fill in in case that they are same with the Billing details. You will have preselected Paypal payment option. After clicking on Proceed to PayPal button you will be redirected to the PayPal website. If you don’t have a PayPal account yet – You can do a payment even if you don’t have your PayPal account. In that case you have to click on the Pay with Debit or Credit Card button. On the following page you will be asked to provide details about your debit or credit card and create your PayPal account login credentials. This is necessary for your safety. Information about the transaction will be stored in your account and you can dispute it later. You will continue by clicking on the Create Account and Pay Now button after all details are filled in. 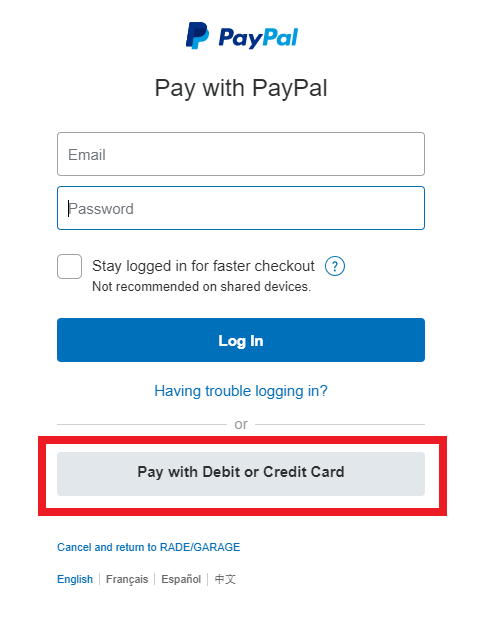 If you have a PayPal account already – You have to log in to the PayPal (you probably won’t be) with your PayPal login credentials and click on the Log In button. This is absolutely safe operation as it is done on the PayPal website. We are not getting your login credential details or access to your PayPal account. As a next step you have to confirm the payment after you are succesfully logged in. You can continue by cliking on the Pay Now button. 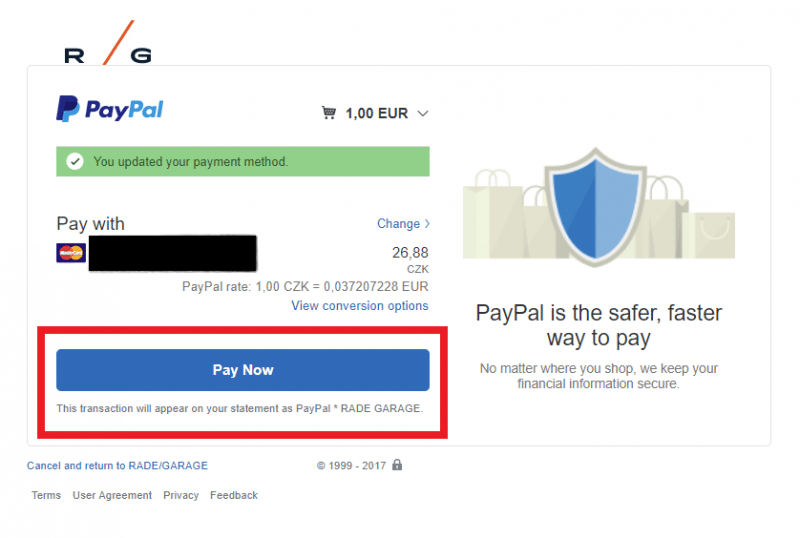 After the payment has been succesfully done, you will see PayPal confirmation page similar to the one on the screenshot. You can go back to the Rade Garage website or to close the browser window. 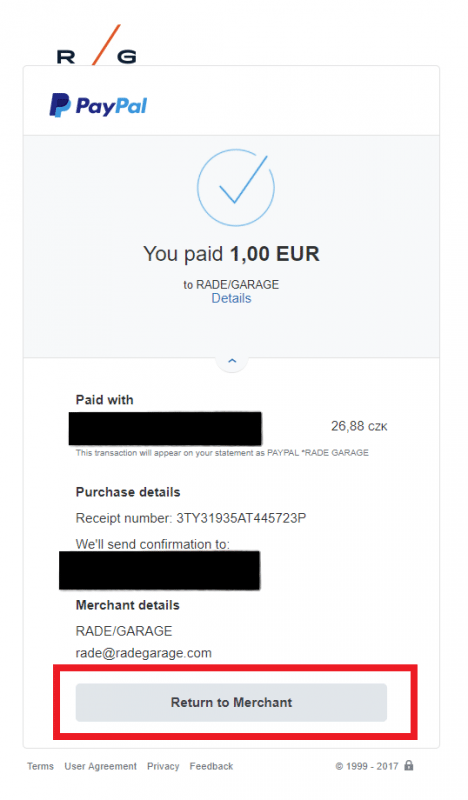 You will receive an email confirmation both from Rade Garage and from PayPal. Now you are ready to do a succesful order on our website. Please continue to your Shopping cart.